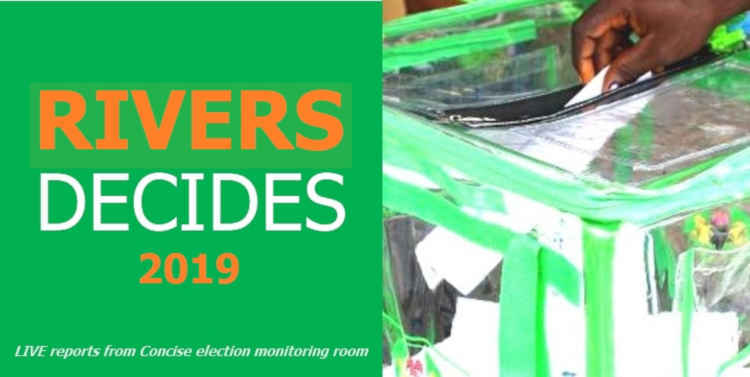 On Friday 8th of March 2019, being the eve of the Governorship/House of Assembly elections in Rivers State, there were massive arrests of innocent civilian citizens by the officers and men of the Nigerian army. They raided different beer parlours, clubs, hotels, etcetera, illegally arresting people and whisking them away for just no authentic reasons. Presently, victims of this indiscriminate arrest are yet being tortured in custody. On Saturday 9th March 2019 being the election day, there was massive deployment of Nigerian soldiers to virtually every nook and cranny of the State, as if in a war. People were thrown into panic mood as fear of the unknown heightened even in the cause of the elections. This callous militarisation of a peaceful, ordinary election really discouraged eligible voters from going out to cast their ballots for the candidates of their choice for fear of their safety. There is this verified information that the former Rivers State Governor and present Nigerian Minister of Transportation, Chibuike Rotimi Amaechi, paid huge amount of money to the General Officer Commanding (GOC) the 6th Division of the Nigerian army in Bori Camp Barracks, Port Harcourt, to unleash mayhem and intimidate the civilian population to the point that they would dread going out to cast their votes. This was orchestrated to create an atmosphere of carrying out their nefarious political activities aimed at subverting the will of the people. 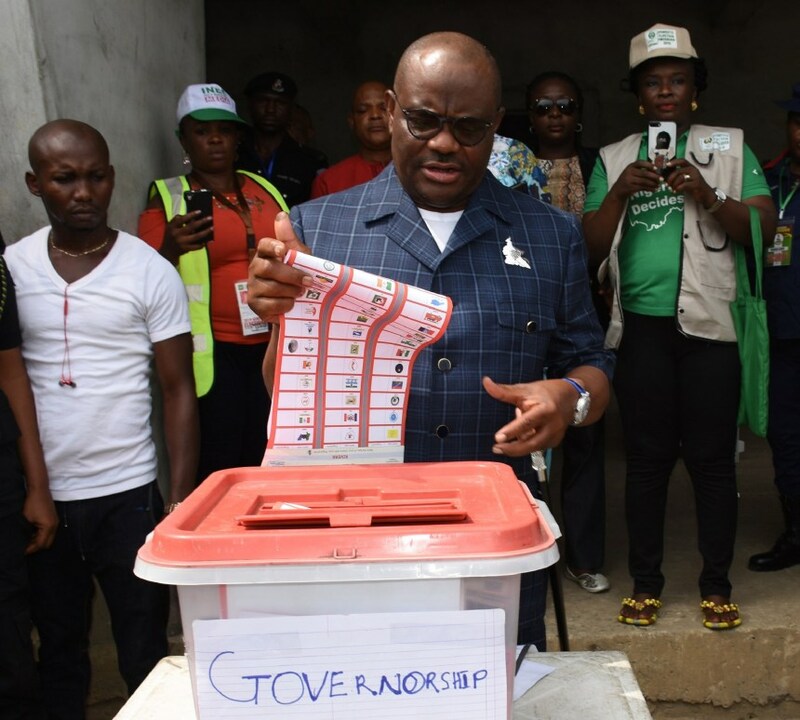 Despite these high-profile evil plots, Rivers people courageously trooped out in their numbers at their various locations to exercise their civic responsibilities. Confirmed reports attest to the fact that they were pockets of skirmishes and deaths during the Gubernatorial/House of Assembly elections in Rivers State, masterminded by APC politicians and supporters, in grave connivance with the fulanised Nigerian army imported extensively from the North. Recall that prior to the elections, Rotimi Amaechi was well on ground in Port Harcourt, devilishly strategizing with the GOC, 6 division of the Nigerian army amongst others, on how to rig the election in favour of the AAC governorship candidate, who himself, is Amaechi's stooge. The All Progressive Congress (APC), which Amaechi and his cohorts belong, it should be noted, had no candidates in the elections in Rivers State. But to realize their subversive political interests, they got attached to AAC party in order to pull the government of Barrister Nyesom Ezebunwo Wike down. Election results collated from most of the polling units spread across the State, massively put Governor Wike of the People's Democratic Party (PDP), on distant, clear lead. Eye witness account have it that on the very evening of that election day, Rotimi Amaechi in the company of some of his APC thugs, stationed their vehicles outside Obio/Akpor Council Headquarters at Rumuodomanya. On the arrival of an additional tinted glass vehicle at the spot at about 7pm, they all drove on a convoy close to the gate of the Council Office, demanding that the duty security personnel open it for them, which he resisted. As they continued shouting at him to oblige, he quickly put up a call which instantly attracted the arrival and presence of Governor Nyesom Wike in person. Noticing that it was the State Governor, Amaechi and his APC company of thugs hurriedly drove off in shame and disappointment. It is very clear to all sane beings both old and young, that Rivers State in its entirety, is a PDP stronghold. Amaechi is just desperately employing the instrumentality of federal might to try and see if the State could be snatched into the hands of APC which is a very herculean and unachievable task. Despite the intimidating presence of the Nigerian military everywhere in the State, Rivers people still overwhelmingly brushed aside the pains of oppression to massively go out and exercise their franchise for their choice candidates. It is therefore evil and imbecilic to begin to advance alternative means of trying to tamper with the clear will of the people. The Independent National Electoral Commission (INEC), should exert its independence by strongly resisting undue influences from the powers that be, to subvert the will of the people. The body should be adjudged impartial and unbiased in conclusively announcing the exact results to maintain the existing peace in Rivers State. All the violence recorded in the course of the election was orchestrated by Rotimi Amaechi and his APC political hooligans. The unwarranted killings of citizens and hijacking of ballot boxes that took place variously during the elections in the State were masterminded to help install a grossly rejected APC, Amaechi and their masters in Aso Rock. It is therefore imperative to state here that the definitive will of the people of Rivers State as expressed on Saturday 9th March 2019, be allowed to stand untainted.